US GSP move will not impact Indian textile and apparel industry much! Last year it was Patna V/S Punjab as Bihar was trying hard to fetch investment from Ludhiana’ textile and apparel industry. Now, Tamil Nadu and Andhra Pradesh are at loggerheads over same issue. Due to continuous decrease, Duty Drawback has lost its charm in Indian apparel exporters. 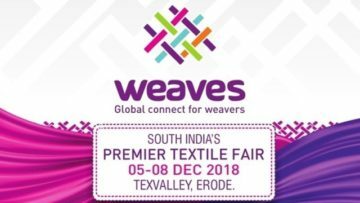 While the industry has different views on the issue, it is strongly of the opinion that without the government support, survival is not possible. 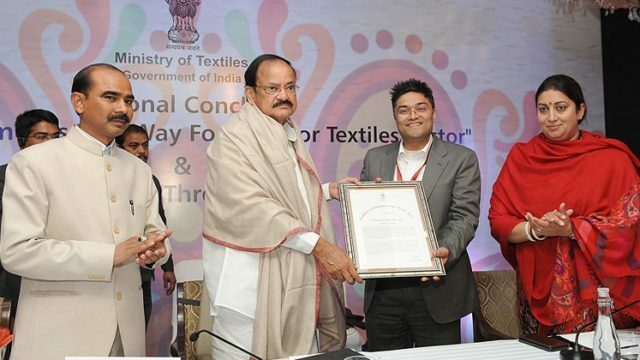 Prashant Mohota, MD, Gimatex Industries; Amit Kailash Khator, MD, Khator Technical Textiles; A. Mythili, Proprietor, Vishwaa Apparels and many more were honoured by the Ministry of Textiles.